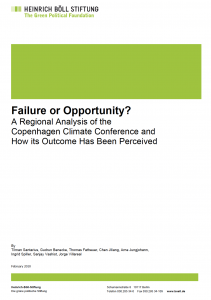 Throughout Europe, the International Climate Conference in Copenhagen (COP 15) has widely been considered a failure. However, it is unclear how this summit has been perceived in other countries: as a failure, or maybe even as an opportunity? This, it seems, heavily depends on the national perspective. For some countries, such as those of the European Union, the expectations were missed completely. In the U.S. and in Brazil, however, the outcome of the summit had been used as internal political opportunity. 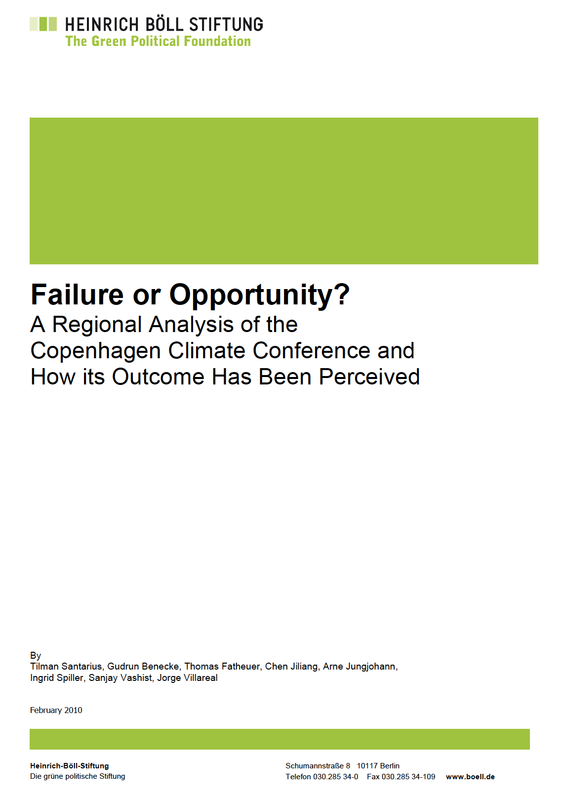 Click here for the paper “Failure or Opportunity”, in which Tilman Santarius together with colleagues from several other countries analyzed the results of COP15 from the perspective of central negotiating parties.